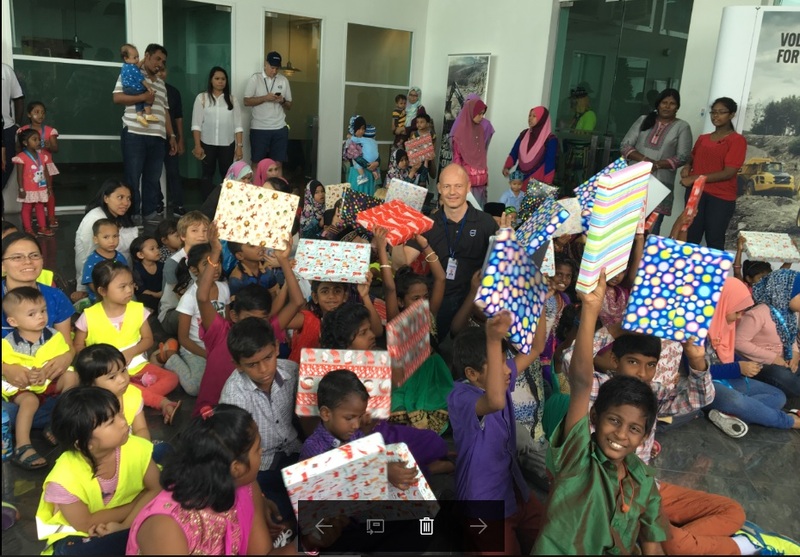 Volvo Malaysia, the distributor for Volvo Trucks, Renault Trucks, Volvo Buses and Volvo Construction Equipment once again opened its doors to underprivileged children at their headquarters in Shah Alam recently. This annual charity event is part of Volvo Malaysia’s Corporate Social Responsibility (CSR) initiative in giving back to the society and this year, the company have made a contribution of RM10,000 to two underprivileged houses. Jagaan Cahaya Kasih Bestari and Pusat Jagaan Kanak-Kanak Seribu Harapan were presented with a cheque worth RM5,000 each to assist them with their basic daily needs. Volvo Malaysia practices tremendous care in selecting only grassroots-built and genuine non-profit organisations that largely rely on contribution from society that would benefit from their annual charity event. Laughter broke through the air early morning at the renowned Swedish brand’s compound as more than 150 guests enjoyed themselves to the fun activities specially arranged by Volvo Malaysia. Underprivileged children from Jagaan Cahaya Kasih Bestari and Pusat Jagaan Kanak-Kanak Seribu Harapan together with Volvo’s staff and their families were entertained with various mini games and lucky draws. Aside from these activities, children and families were also treated to an interactive safety session of Volvo Truck’s global safety campaign ‘Stop, Look, Wave’. This campaign aims to raise children’s awareness on the importance of identifying blind spots and to practice safe behaviours in traffic especially when in the presence of large trucks. Volvo Trucks also recently announced their partnership with KidZania Kuala Lumpur on this initiative via the KidZania Go! – a KidZania mobile school outreach programme. 2018 Kia Stinger Makes World Debut!